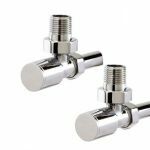 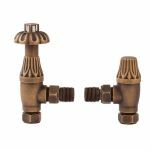 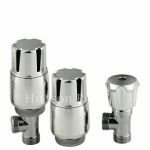 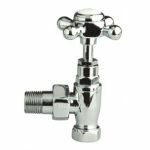 Radiator valves are the plumbing product that connect the pipes of your central heating system to your radiator. 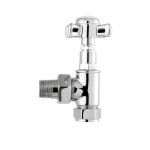 Our choice of valves can be partnered with towel rails or indeed any radiator in your home. 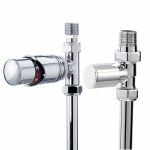 Choose between angled or straight models with or without temperature control. 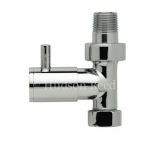 Angled valves are used in conjunction with radiators with side water outlets or if you want to run the pipes into the wall. 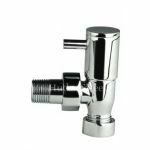 Straight valves generally run from the bottom outlets of a towel warmer down through the floor. 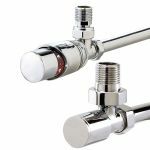 For accurate control over room temperature choose models with thermostatic adjustment, this is also useful for keeping the rail at a safe temperature around children. 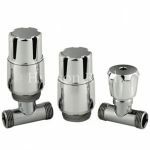 Our valves will connect to standard pipe diameters but for circuits with micro bore piping adapters are available.